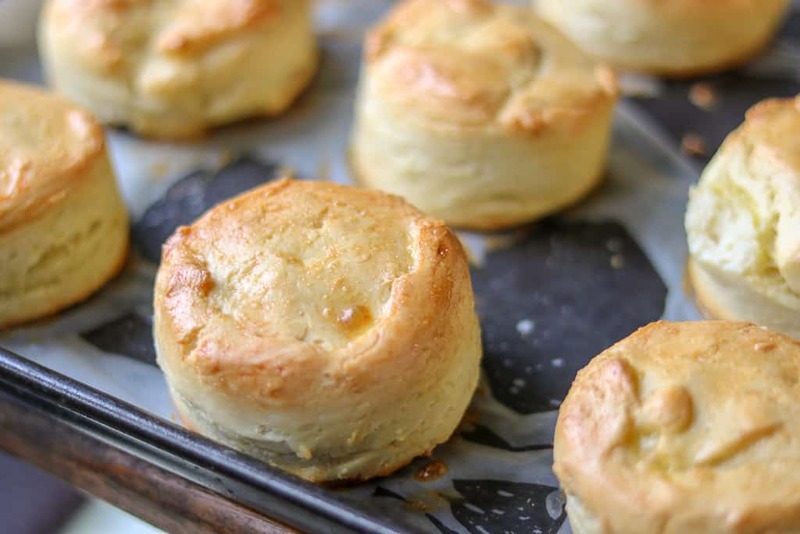 These Gluten-free biscuits made completely from scratch. They are buttery, soft, and gluten-free. 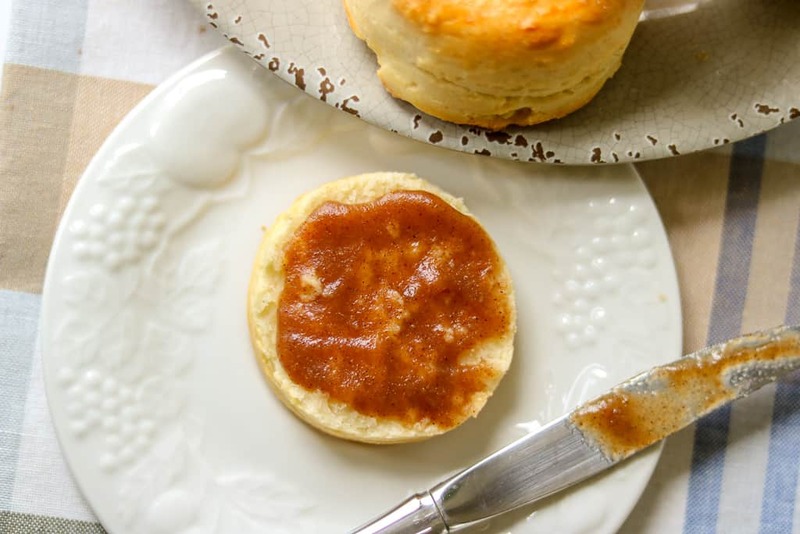 This recipe is made with all butter and no xanthan gum! I used only a few ingredients to make this recipe. Most of the ingredients were already in my pantry, cabinet, and or refrigerator. I DID NOT USE ADDITIONAL XANTHAN GUM (explained below). 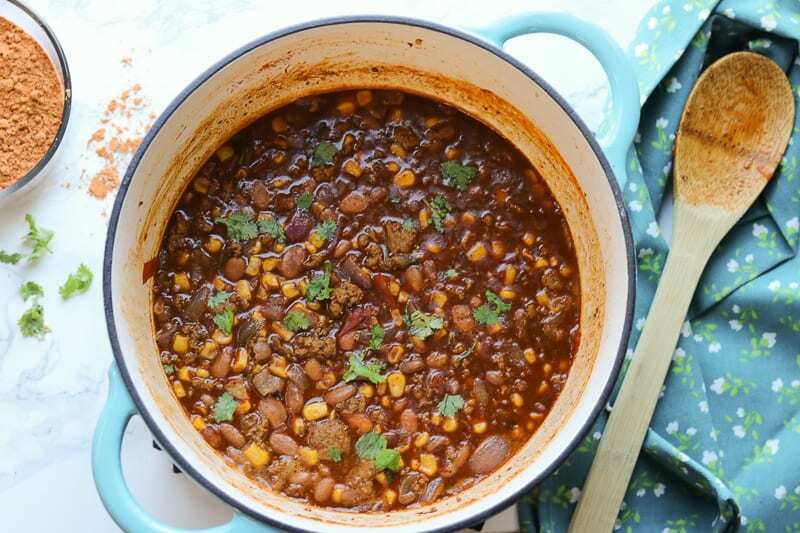 I have tested this recipe over and over again to make sure it absolutely work before sharing it with you. I refused to purchase ingredients that I did not feel were absolutely necessary. I knew there had to be a better way, and there was! Why this gluten-free biscuits recipe work? Many reasons. For starters, in this recipe, I used two different type of flour; all-purpose gluten-free flour, and the gluten-free pancake mix flour. Why? Because the gluten-free pancake flour is slightly sweet (bonus), and the most important reason is that it already has xanthan gum. If you are not familiar with xanthan gum, it is a binding agent. The dough is easy to prepare, but a bit messy. The biscuits are soft and buttery. And goes well with apple butter. 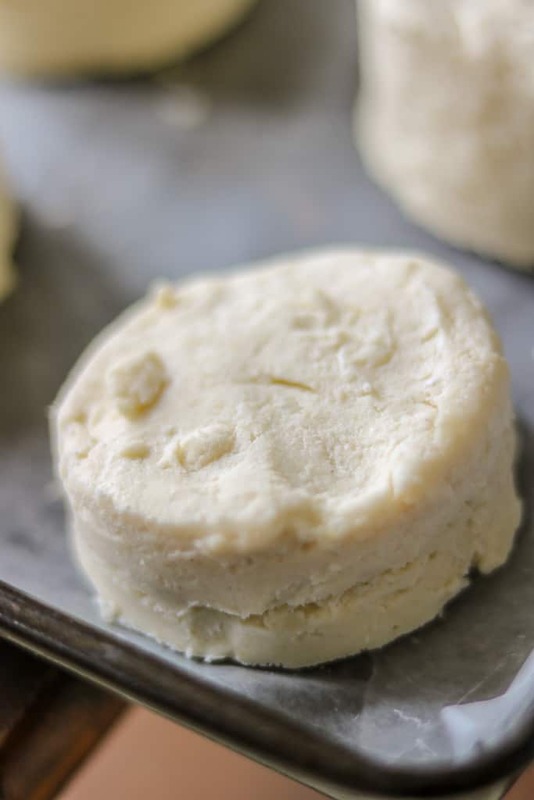 Seriously, this is the type of Gluten Free Homemade Biscuits you need to have permanently in your recipe repertoire. 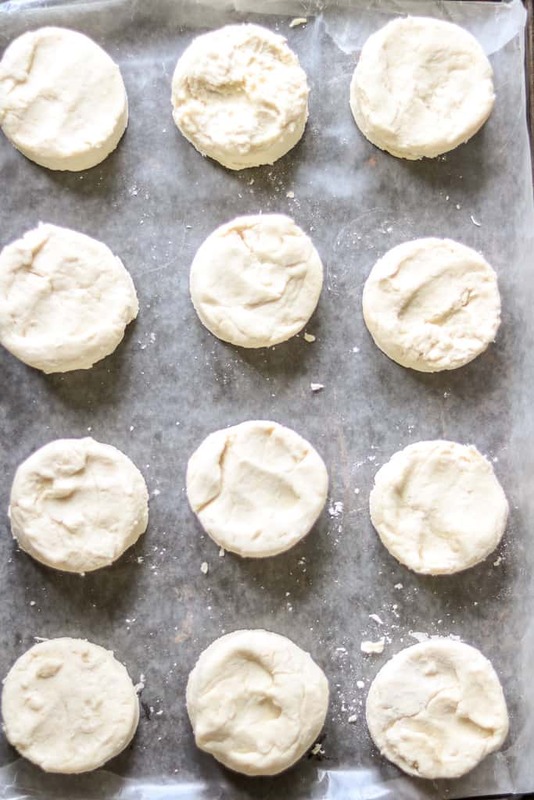 These gluten-free homemade biscuits are so simple to make. But, I have included plenty of tips to make sure your biscuits are perfect every single time. 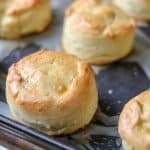 The biscuits are delicious and are so easy to make. You know how I feel about easy food. Especially foods that are partially breakfast, partially lunch or dinner. How do you make gluten-free Biscuits fluffy? I’m sure there are many ways to making gluten-free biscuits fluffy. In this recipe, I used sour cream and baking powder. However, the secret ingredient is using the gluten-free pancake mix flour. 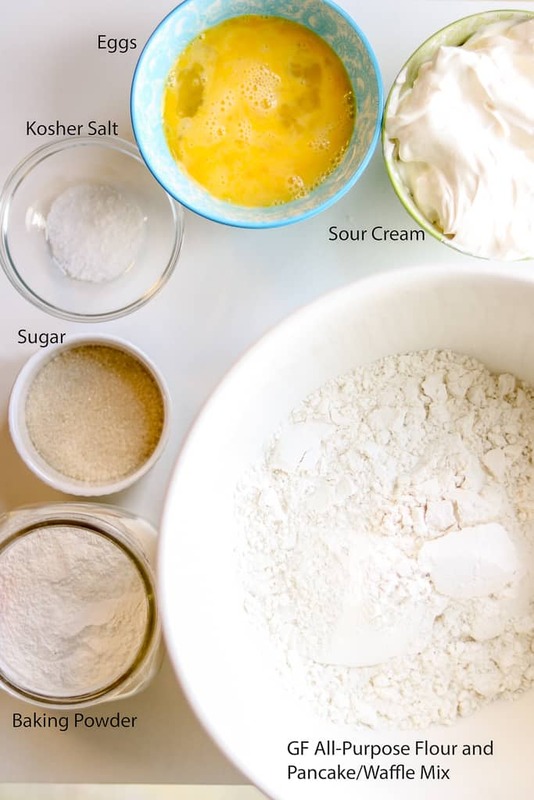 You will need the following ingredients listed below to make these biscuits. 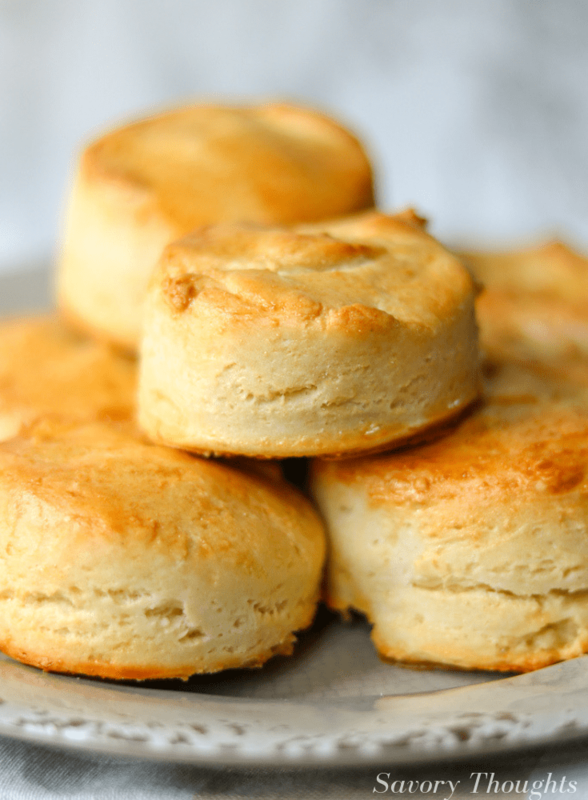 How do you make gluten-free biscuits with flour? 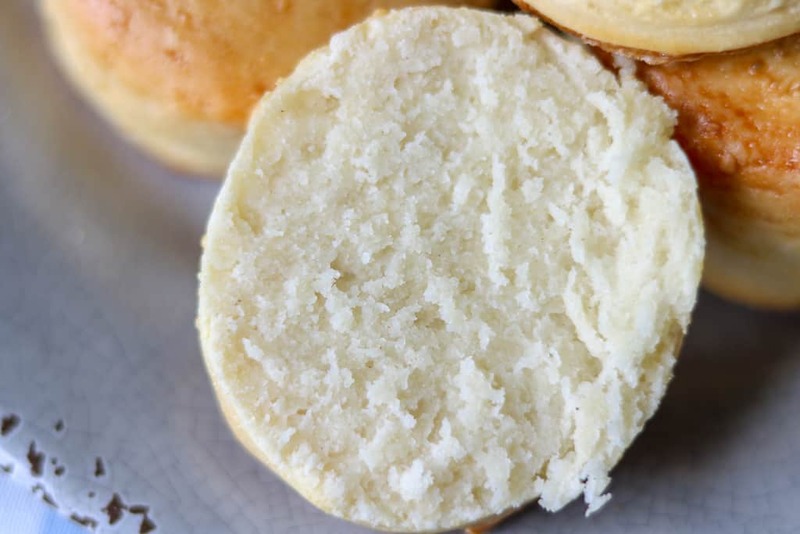 To make these Gluten Free Biscuits, you must have the gluten-free flour. 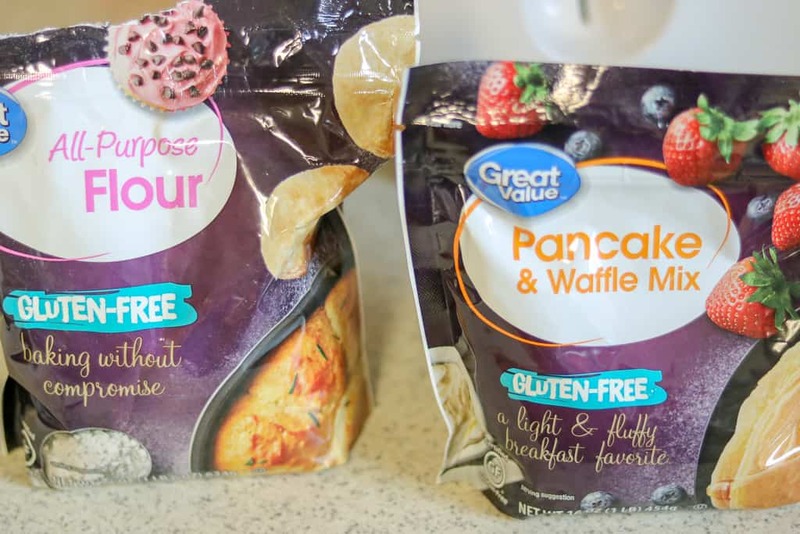 The gluten-free pancake mix flour is not necessary if you are using xanthan gum itself as a thickening or binding agent. 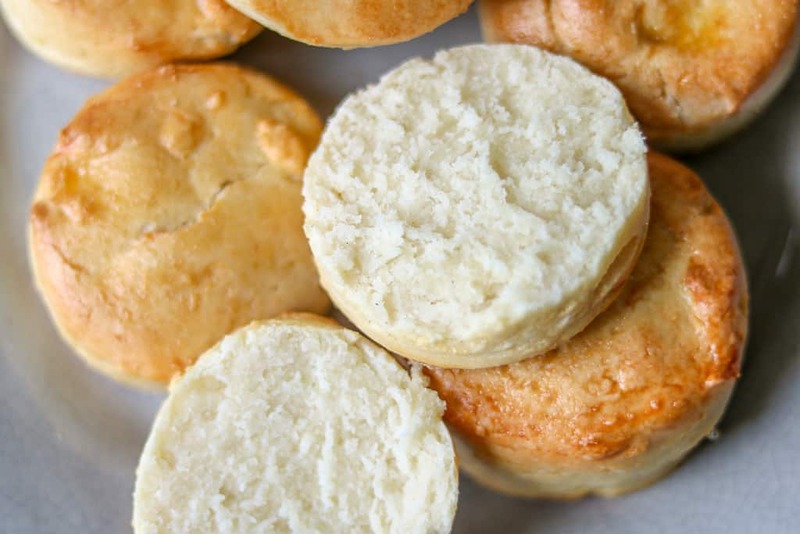 Gluten-free biscuits made completely from scratch. They are buttery, soft, and gluten-free. 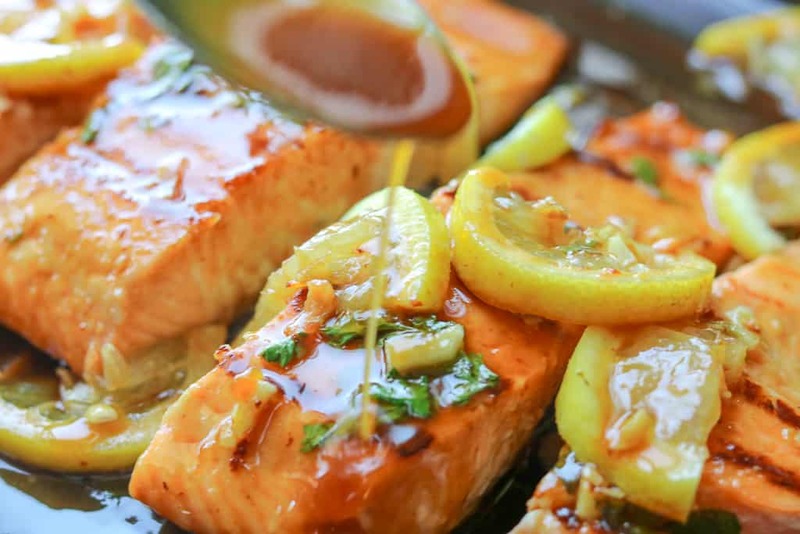 This recipe is made with all butter and no xanthan gum! Add all the wet ingredients and combine well (leave 2 eggs for basting). After mixing the dough, form the dough into a ball. The dough will be somewhat wet, which is okay. Add a little more flour to help handle the dough, but not too much. Use your hand to shape the ball form dough into a square or rectangle. You may use a rolling pin but do it lightly so you do not overwork the dough. 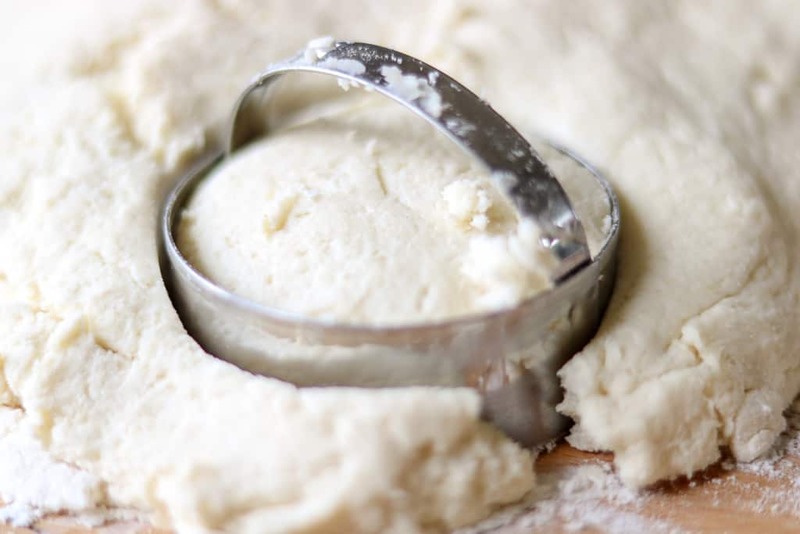 Use a biscuit cutter (or circular cookie cutter) to cut the dough in even size. Beat the extra eggs and use a small brush to baste the top and sides of the dough. Place the biscuits on a sheet pan lined with parchment paper that's lightly greased with butter or olive oil spray. Bake for 20-25 minutes or until golden brown. Serve warm and enjoy! Avoid using a rolling pin, it is best to use your hands to gently work the dough into a flat rectangle before cutting out the biscuits. 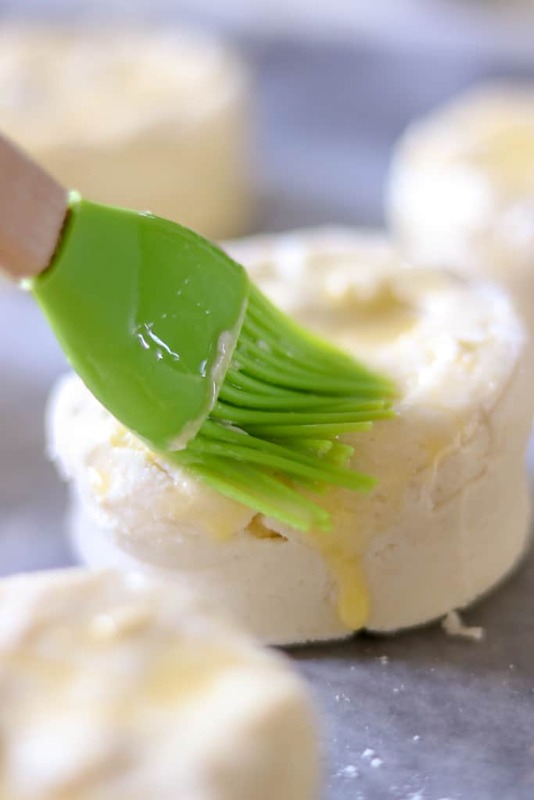 However, if it is necessary for you to use a rolling pin, do so gently make sure to add a little flour to the rolling pin before applying it to the dough. Make sure all of the ingredients are as cold as possible. This helps the biscuits become fluffy. The dough will be messy and somewhat wet and sticky (I actually like it that way). You may add a little gluten-free all-purpose flour as needed, but NOT TOO MUCH. You don’t want the dough to be too tough. 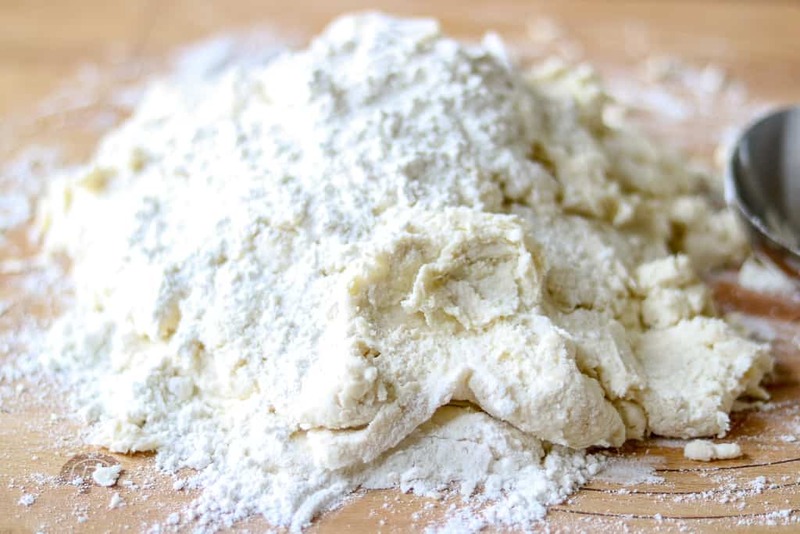 Use a little more flour to help fold the dough. This method is called laminating. These look so good! I’m totally drooling! 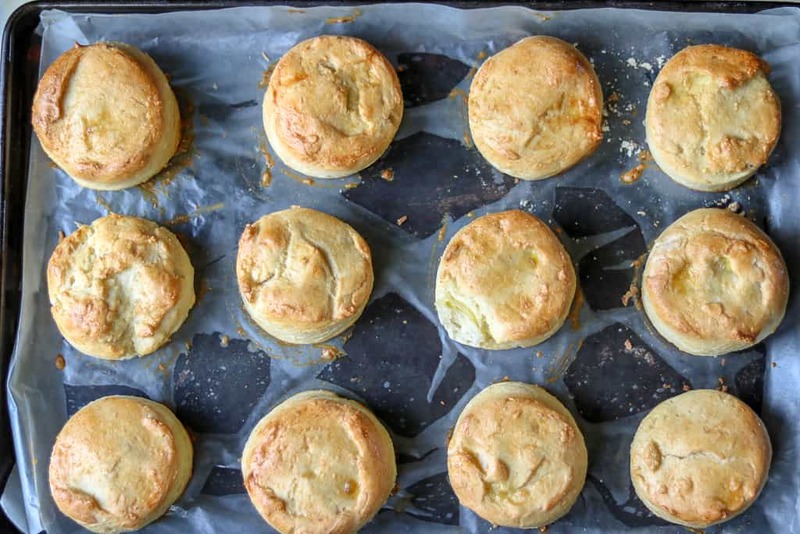 A good biscuit recipe is key to so many winter meals!! Yum! Yes! I completely agree, Tessa! Thank you for reading. 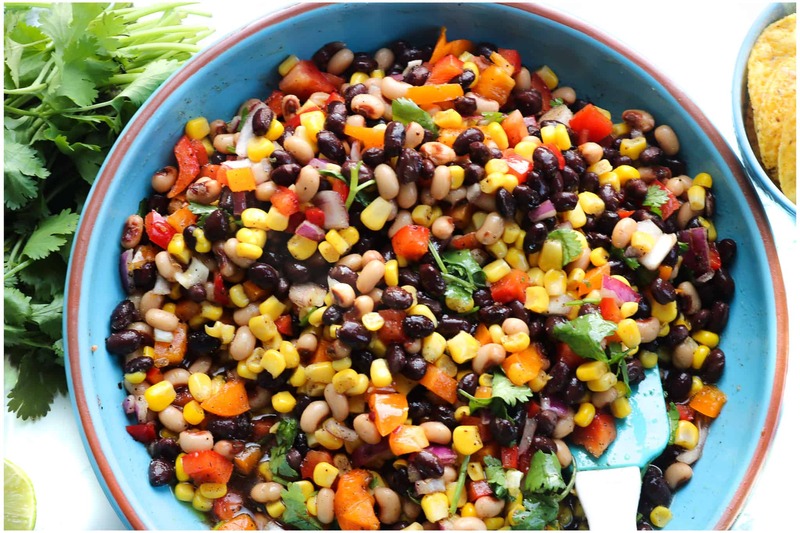 Neat recipe! I’d love to try this! Thanks! OMG wow I cannot believe these are gluten free. They are absolutely stunning and that texture is beyond flaky and buttery! 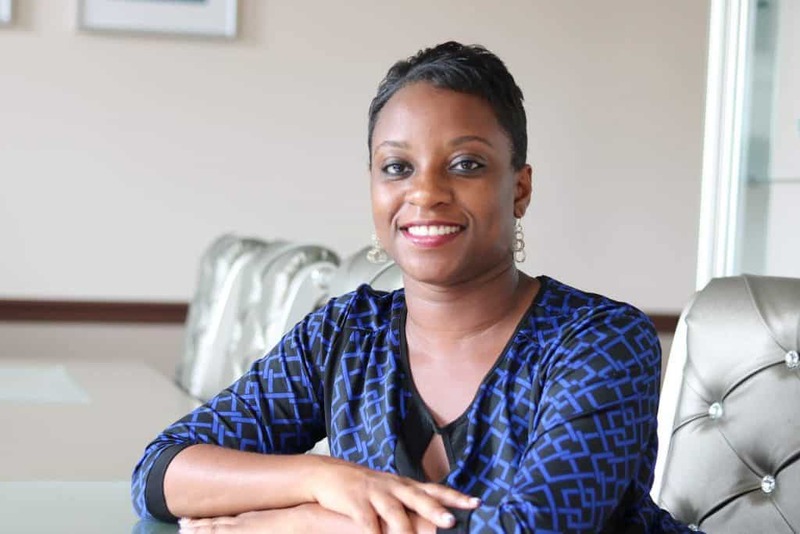 Yes, Ma’am! They are gluten-free. Those biscuits look perfect! I can almost taste them through your pictures! You should! they are delicious! 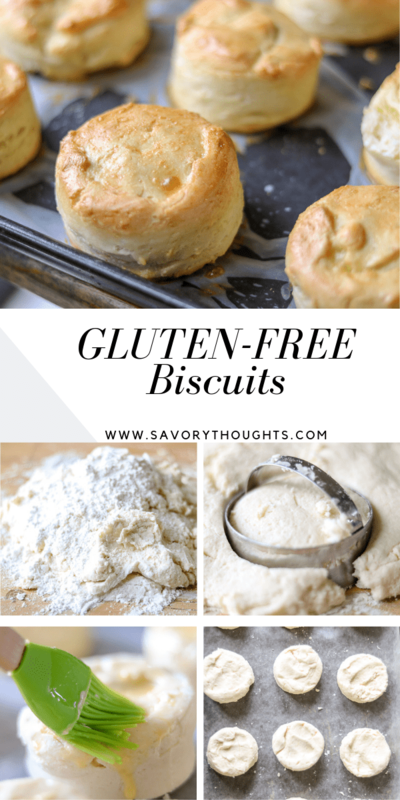 OH wow, it’s so hard to find perfectly flaky gluten free biscuits and these look amazing! Definitely have to try this one out. I love biscuits. They’ll make the best breakfast in the morning! They really look so fluffy and soft. I guess just perfect for a breakfast. have to try and make them. These look so soft and delicious- what a great gluten-free option! Even that dough looks yummy! How nice to be able to make these gluten-free. They look so fluffy and delicious.